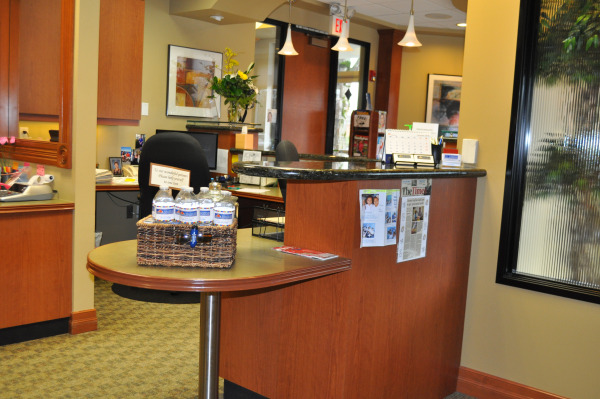 We aim to provide exceptional service to our patients and we hope you find our office as comfortable and beautiful as we do. 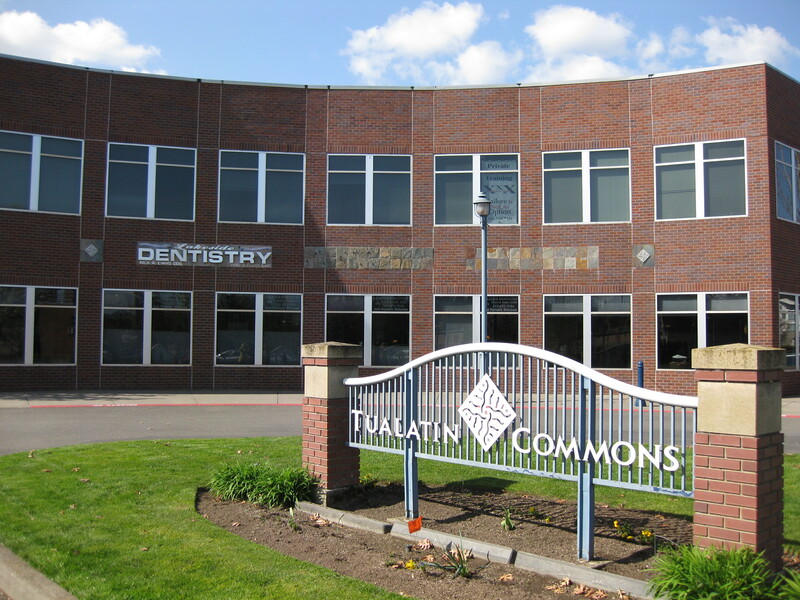 Our office is conveniently located in Tualatin Commons downtown Tualatin. Our waiting area overlooks the lake and each operatory showcases large windows that provide plenty of natural light. Upon entering our office you will be greeted by our friendly receptionist. 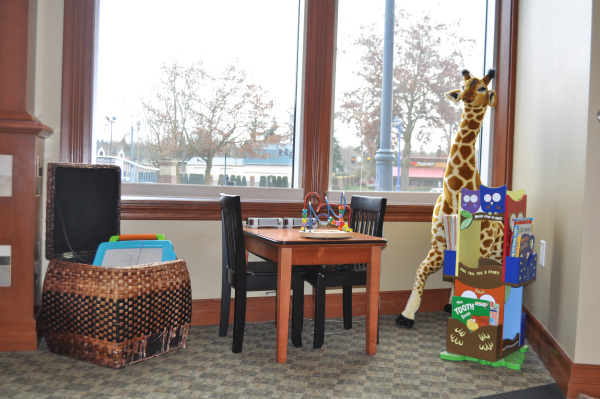 In our reception area we have a dedicated kids corner with books, toys, and 2 Nintendo Ds. 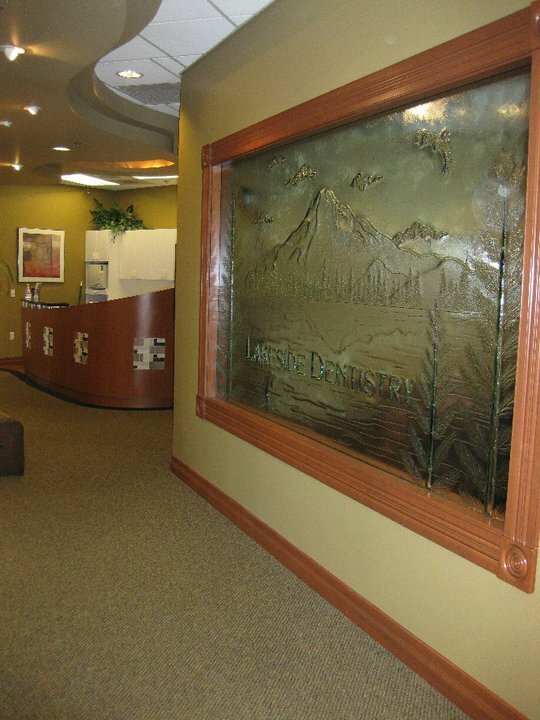 As you leave the reception area and enter the back office you will see our custom Lakeside Dentistry Mt. Hood scenic glass wall. 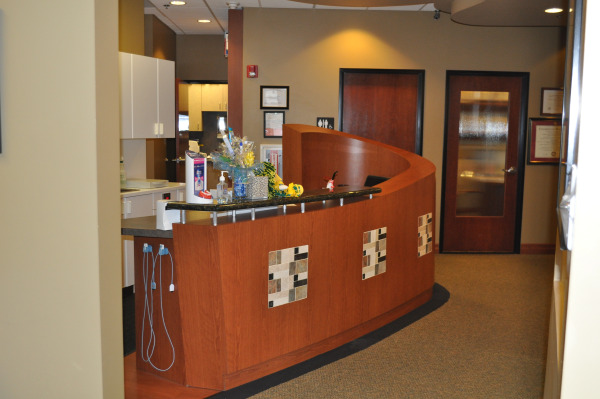 Moving through the office you will see our sterilization area and operatory rooms. make any necessary follow up appointments. You are also welcome to take a small gift.